170 CI, 3 on the tree manual. Approximately 59000 original miles. These vans are extremely rare to find, let alone in a restored condition. This van drives and brakes very smoothly with no noises or problem and easily cruises at 60mph. 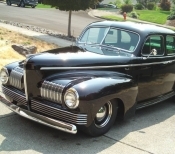 The mechanics of this vehicle are very simple and thus very reliable and easy to maintain. 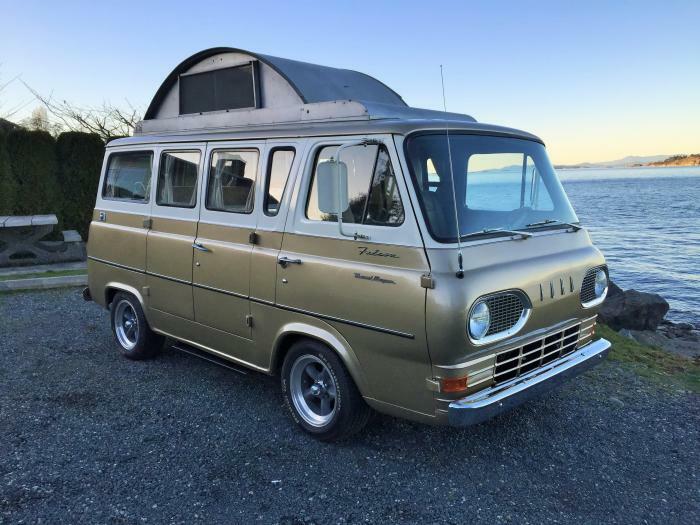 This rare Ford Travelwagon van was available through Ford Dealerships from approximately 1962-1967. This one was delivered to a Ford dealer in Canada, the conversion first done in Indiana by the Travel Equipment Corporation. Believed to be one of approximately 400 made in that year, and possibly one of 2 painted in this two tone color - Gold and Wimbleton white. These vans were made to compete with the VW Westy of the day and features many of the same amenities; Pop top roof allowing you to stand inside, bunk beds including across the front window, sink, icebox, storage cabinets, 110v convertors, 12v interior lighting, auto fold out step at the side door. This could be the perfect promotional vehicle for your business, great for events, or for just hanging out at the beach with friends or family. It gathers attention anywhere you go. We would not be afraid to drive anywhere! Located on Beautiful Vancouver Island, BC. Metal Pop top with sliding Glass Windows and screens. Dinette and fold down Laminate diner table with storage beneath. 2 sets of hammocks, one for pop top sleeping area and one for the lower dinette area. This page has been viewed 799 times.